Having Staff at Site - Construction Site, Road work, JCB Work, Govt. contract Work of Dam, Bridges ext. Any company involve in field activity like marketing, Service, or site work need workforce for field. But it is very difficult to track all activity of field work force and live on line location on map. In office we can have cameras and thumb base attendance system for time tracking of employee. But for field staff monitoring and controlling is very difficult. General survey says that field staff waste its 20% to 40% of time in unproductive works. Management need fast, on-line and live reporting tool for all field staff / employees. 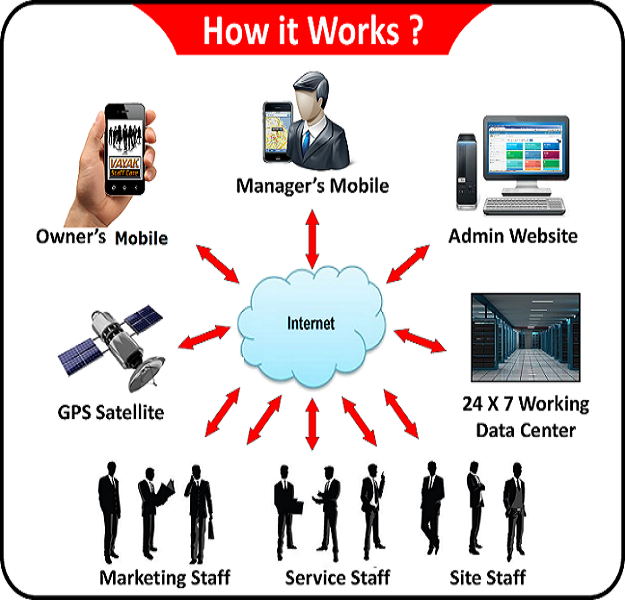 So that all activity can be monitor, control, tracked and guide them in productive way. 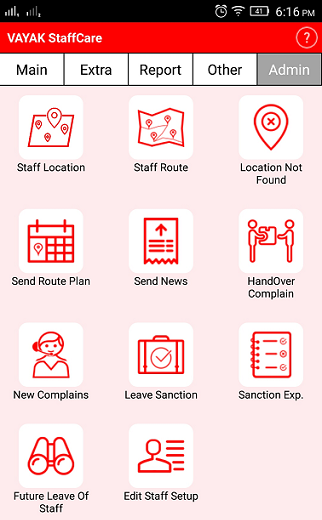 So every company need Field Staff Management Software like vayak staffcare. 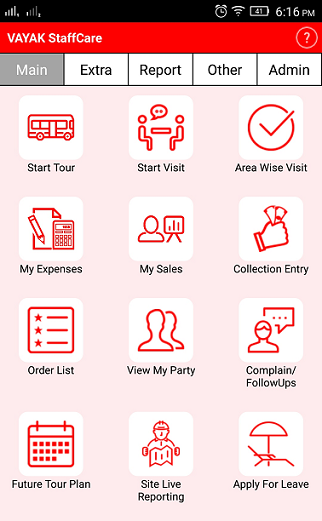 So Vayak has introduced staff care Mobile application for all kind of field staffs involve in any kind of filed activity. Like Sales, marketing, service, support, training, delivery, collection, site work, purchase, installations and other. 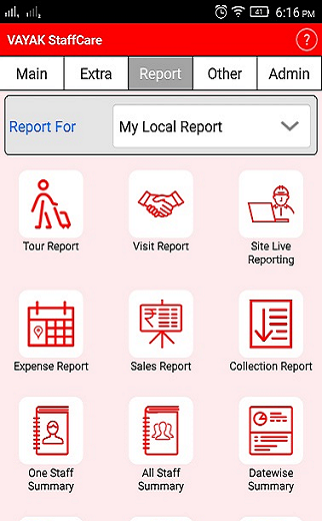 This mobile application is a best on line reporting tool for employees working in the field. All staffs live current GPS base location on map is available with route travelled by them with approximate distance. So there is very rare chance of mischief and false reporting by employee. So its a real business application or Field Staff Management Software. For online Reporting of Tour / Visits. View staff’s current locations & travel route. View entries, reports & summary. Manager can also use Staff's features. 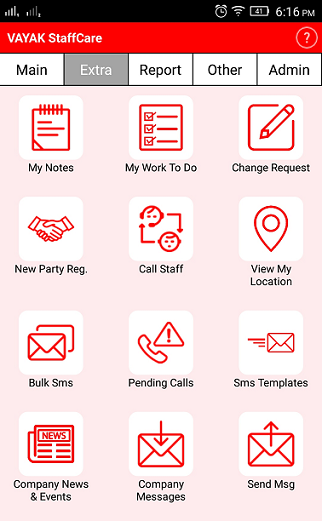 All entry done in mobile, are available to HR and back office staff in admin website. HR and Manager can filter, analyze & view all kind of reports. 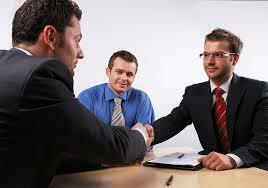 HR and Manager can control all staff’s Registration and Authorization. 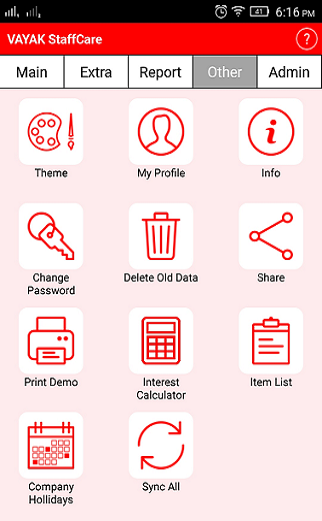 Also, can export the data in Excel, csv, pdf and use it for salary, attendance etc..
Then training of android mobile app. How it's Screens look like ? How it Shows location ? For More Detail . . . Which Mobile Phone required ? How you will give the service ? I need it but don't want to invest? click here ..To Calculate your saving . . .